Thanks to our generous sponsors, we will have separate prize lists each day for all race categories. Detailed prize list information coming soon. Never raced but wanting to try? Now’s your chance. We offer beginning racing clinics at 7 AM on Saturday and Sunday. Then you can try your new skills in our beginners-only Citizens Races at 8:45. No experience necessary. Feel the thrill of the race in a safe, friendly environment. Once again, the Southside Sprint will be the race that crowns MN State Criterium Champions. Race registration is live! No pre-registration is required for the FREE Kids Fun Races. Kids can register on the day of the race. Meet your fans and prep for your races just steps from the Start/Finish line. On Saturday and Sunday, our Athlete’s Villages are the place to be. Teams interested in reserving a tent space must RSVP in advance of race day. 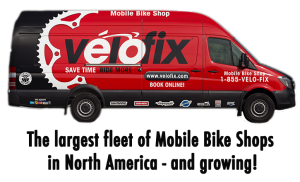 Velofix will offer neutral support for all racers each day. Our neutral support team will have plenty of tire pumps and tools. They’ll be able to help correct most typical mechanical issues and will even have neutral wheels available. Thank you to Velofix!